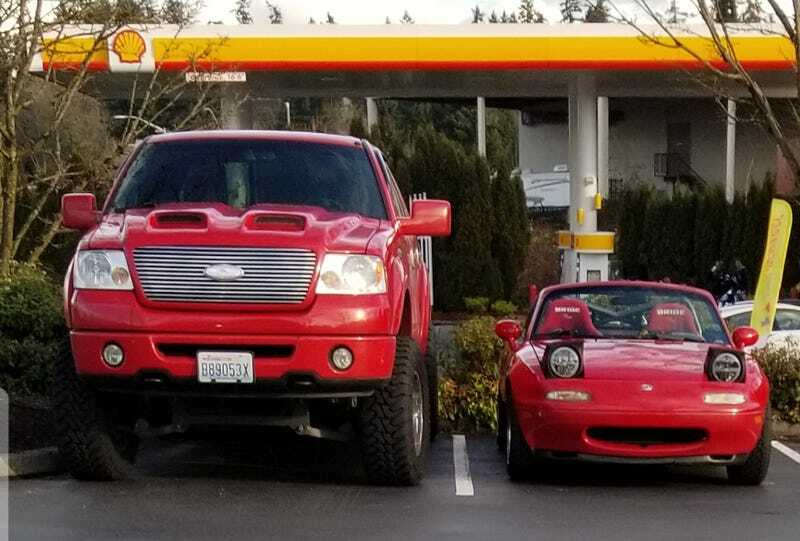 Something larger than this lifted truck, and something smaller than this petite roadster. Bam. Set for life. And you better believe the Ducati would be strapped to the back of the van. Street-oriented adventure bike and a quite large lifted van that could still make it through a lot of terrain.